After having read Girl With A Pearl Earring by Tracy Chevalier, I was interested in dipping my toes a bit farther into the historical fiction waters. 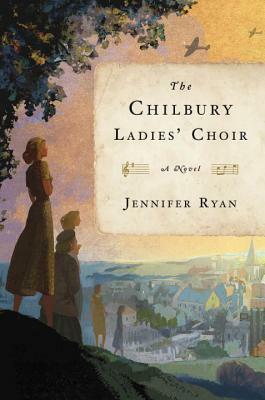 And, as I’d hoped, this debut novel by Jennifer Ryan was exactly what I needed. This novel revolves around a (female!) choir. I have spent all of my life singing: grade school choirs, church choirs, fronting my science teacher’s band in 10th grade, vocal music courses, regional chorus, and finally, classical operatic training. I’ve done it all! This novel is written through diary entries and letters. First person narration is my jam: even more exciting is when it is in the context of personal diaries and private letters. With these things in mind, I chose not to look much more into it. Well, other than seeing a Goodreads rating of 4.08 when adding it to my currently-reading shelf.